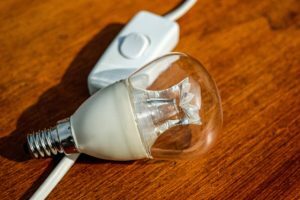 I decided to switch to Bulb Energy for our electricity and gas and will use this post to document how easy it is to switch energy supplier in general and how well our switch to Bulb goes, in particular. 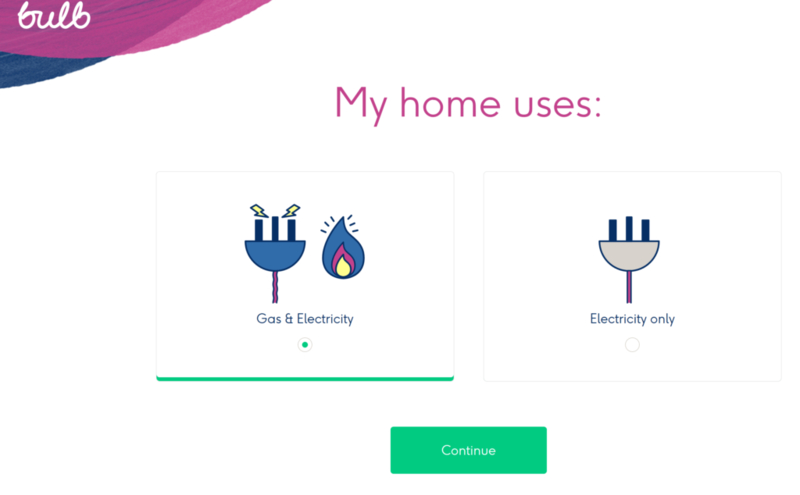 When I have thought about switching to a different energy supplier in the past, I have been put off by the large forms to fill in that ask detailed questions about how much electricity and gas we have used in the past, and who our current supplier is. It all seemed quite a hassle and as prices and deals vary so much, I have generally decided not to go ahead with switching. I am really attracted by the strong benefits that Bulb offer. Their prices are very competitive and we will save money by switching to them. We will also be helping the environment as Bulb supply 100% renewable electricity and 10% green gas. So having decided to make the switch, I was pleasantly surprised when Bulb claim that it only takes 2 minutes to apply. You simply fill in your postcode and then answer four very simple pictorial questions such as is your property a house or flat and how many bedrooms does it have? A quote for your monthly energy costs are displayed and if you are happy with that (I bet you are! ), then you simply fill in your address, date of birth, contact and bank details and that is that! I wasn’t timing it, but I think the process took less than two minutes. My hard work was now finished (in less than two minutes!) so it was now up to Bulb to sort out everything from there. Within minutes, I received the welcome email that you can see below. This showed that my switch would be complete in three weeks, which included a Bank Holiday. I liked the way that they displayed the time line showing what would happen when. Lo and behold, on Day 9, as promised, I received an email stating that everything was proceeding smoothly and that my first direct debit payment would be due on the 18th May, which is the switch date. I had aso received confirmation from Utility Warehouse, my current energy providers, that they had been contacted about the switch away from them. This was reassuring as it shows that Bulb were working behind the scenes to transition our account and supply to themselves. 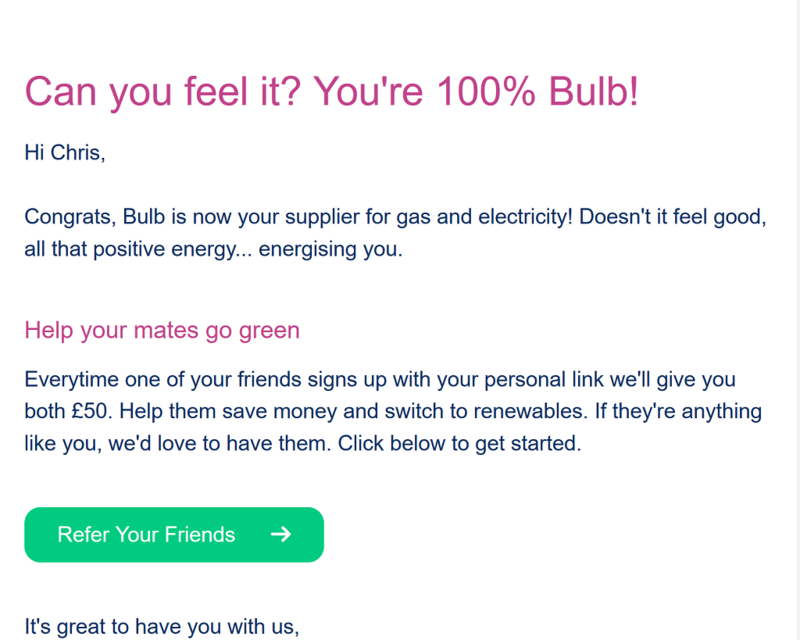 In the meantime, I had access to our new account via the Bulb website and could use the referral link to tell friends that they can also receive a £50 discount when they switch to Bulb and so can I. So at the time of writing (8th May 2017), we are waiting for the switch to happen on 18th May 2017. It looks like it will happen smoothly and with us having to do very little, which is great. Well, our switch is Bulb is now complete, and I’m delighted to say that it all went really smoothly, with almost no effort from us! I received an email from Bulb a few days ago reminding me about the first direct debit payment to be taken by Bulb on the 18th May and also asking me to give them electricity and gas meter readings, which I did via their easy to use web site. I had also received letters from Utility Warehouse asking me to give them meter readings on the day of switching (the 18th), so all I did yesterday was take our meter readings and give them to Utility Warehouse. I also wrote them down, should something go wrong. So on the day of the switch over, all I had to do was to take meter readings and give them to me old energy supplier. That was all. In the evening, I received this welcome email from Bulb, which was nice and reassuring. I do like their communications, it is much more friendly than I’ve experienced with other energy providers, even Utility Warehouse. A few minutes later, I received another friendly email confirming the £50 paymeent. So that is a great start. 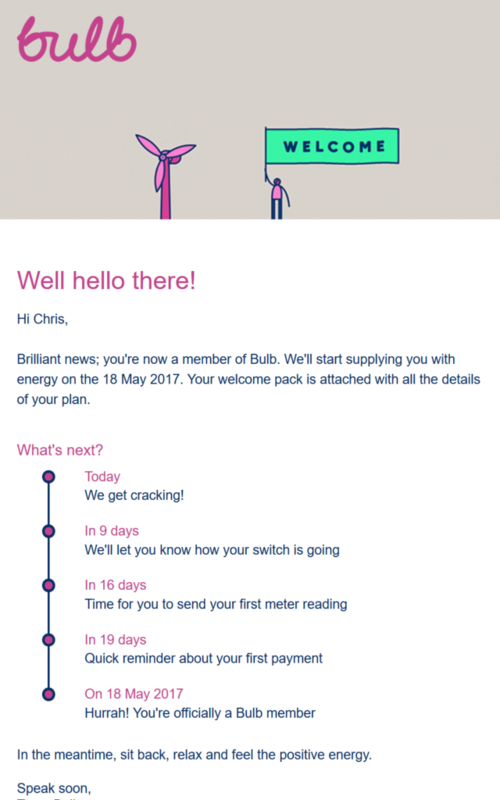 Not only did the switch go really well – the Bulb team did all the hard work leaving me just to read the meters – but I have received a £50 credit, just be being referred by an existing Bulb customer. 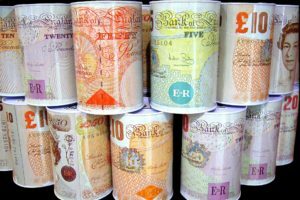 The person referring me will be rejoicing, as their account will also be credited by £50 last night too! 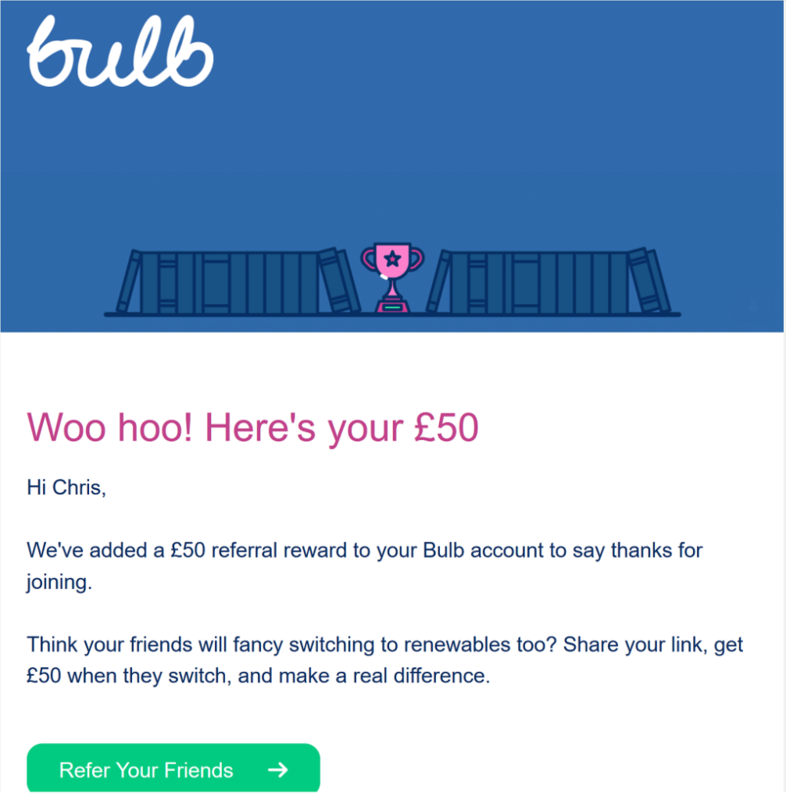 If you like the sound of switching to Bulb Energy then please read this about how you can receive a £50 referral bonus and earn from Bulb too. 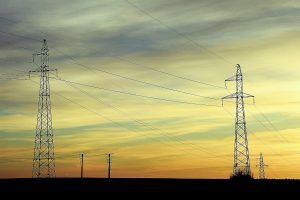 If you have read my comments in this post, you will see that I had fallen into the trap of becoming complacent with my existing energy supplier (Utility Warehouse). Their prices were pretty good and I had no complaints about them at all. I was paying by direct debit, and the months slipped by without me realising that there were better deals out there. Crucially, I hadn’t realised how easy it is to switch, which is why I’m shouting about it from the rooftop – there is no need to be paying over the odds for your gas and electricity. SWITCH – IT IS SO EASY! So far, and it is obviously very early days, my experience with Bulb and their customer support teams has been great. 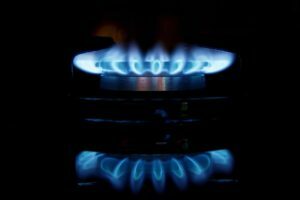 I am convinced that more of us should be considering the smaller energy suppliers as they are really working hard to win customers through great (even exceptional) deals and top notch customer service. They have simple tariffs so chosing and comparing plans is much more easy. Bulb is not the only small energy provider to consider, but I am trusting them with our gas and electricity. You owe it to yourself to unshackle from those ‘Big Six’ direct debits and find a better energy deal so that you not only save money, but you can also help the environment by using more renewable energy. SWITCH – DO IT TODAY. IT IS SO EASY!! Thanks for your comment, and good review about Bulb. 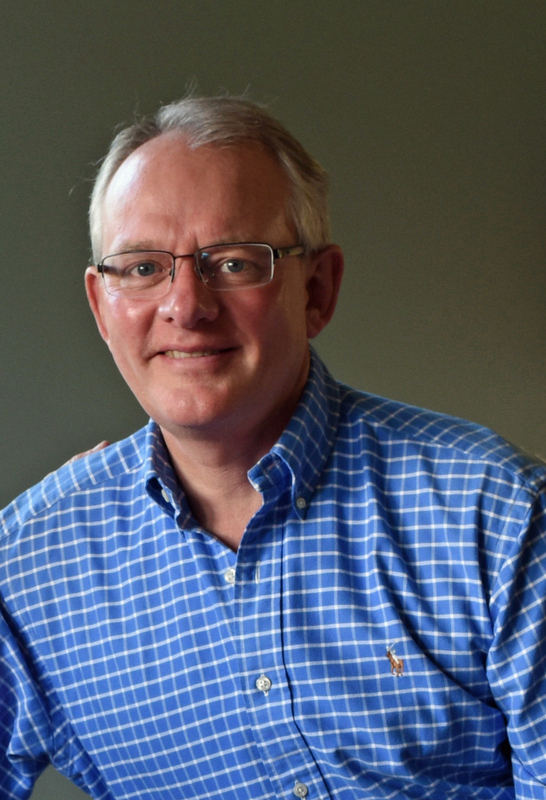 I agree – they are the best energy company that we have used. I did remove your referral link, as the Bulb marketing team have asked us to not publish referral links on MoneyHighStreet.com. We recently bought our first home which was connected to British Gas. After running a energy comparison on MSE, Bulb Energy came out the cheapest supplier with a 5 star customer service rating, also being MUCH cheaper than all of the big 6 suppliers! The switch was simple with everything handled by Bulb and regular email updates to keep me informed. I was given a fixed switch date and everything went swimmingly. Bulb has a great app to monitor your balance / usage / bills and submit meter readings. 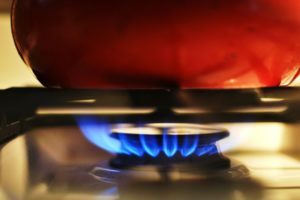 This ensures less estimated usage bills (British Gas attempted to charge me £70 on an estimated basis for the month before we moved in to our house and when the gas boiler had been switched off at the mains the whole time – and it was a nightmare to sort out!). If you are thinking of switching, I highly recommend Bulb.